Bass Sydney Fishing Club was founded in 1981 by a group of dedicated Bass fishermen who were concerned with the plight of Australian Bass. They decided to start a club that would dedicate their time not just to fishing for Bass, but to do whatever they could to improve the Bass Fishery. Bass Sydney has been very successful with its core objectives since its inception. One of the first major success stories was gaining the funding for a proper working Fishway on the Georges River at the Liverpool Weir. Club member, now Life Member, Perce Short worked tirelessly on this project in the 1990's and was finally rewarded for all his effort when small fish were finally caught above the Weir proving that the Fishway was working as it should. Since then, Bass of all sizes are routinely caught in the Georges River. 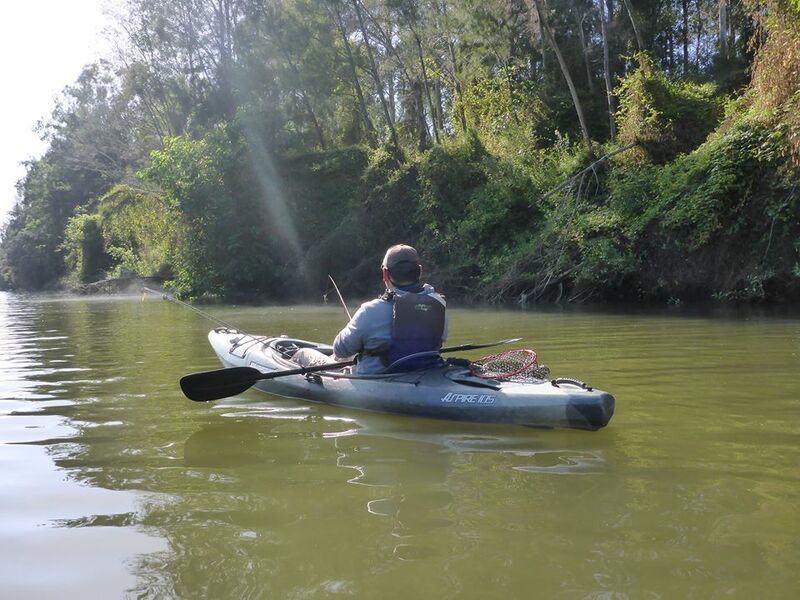 In the last 10-12 years, club members have worked with Fisheries and several local Councils to have Fishways installed on the Lane Cove & Parramatta River Weirs. We have also been busy with Greening Australia with replanting native vegetation on the riparian zone of South Creek west of Sydney, as well as helping to remove large stands of Lantana on the Grose and Nepean Rivers. 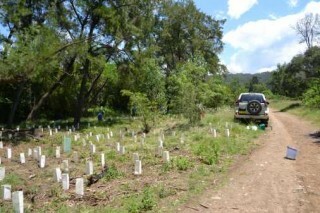 Most recently, we have started a revegetation project on the banks of the Nepean River at Emu Plains. The club has been able to obtain funding for this project and we anticipate that the project will keep us busy for several years to come. So, if you are an experienced Bass fisherman or just a novice and feel that getting your hands a little dirty to help our wonderful Australian Bass to survive in a wild situation is a good thing, then please join us, we can always use an extra pair of hands. This work is voluntary. We meet bi-monthly at Northmead and visitors are always welcome. We are a Fishing Club! The Club organises fishing events each month. All our fishing events are non-competitive, just relaxing days spent with like-minded fishermen. We have run the Hawkesbury - Nepean Bass Catch program continuously since 1988. All data collected is sent to NSW Fisheries.